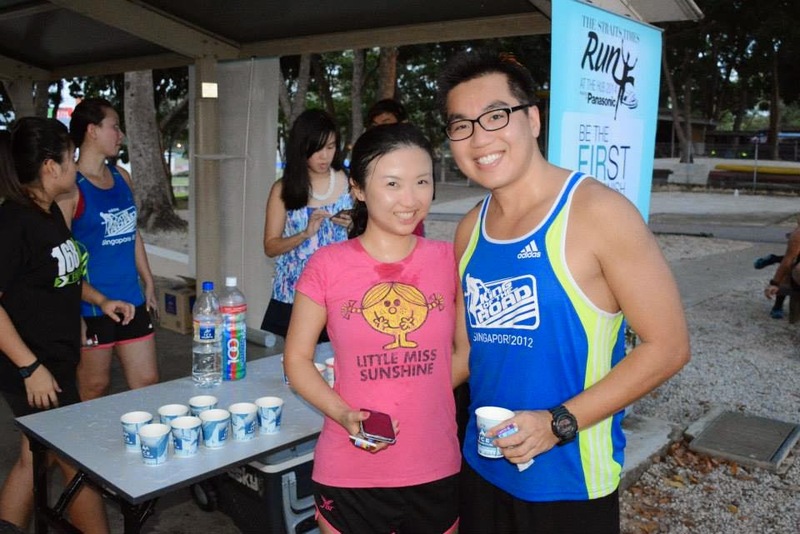 The Straits Times (ST) Run @ The Hub (STRun) kicked off its first training run in the Lead Up series of 3 to prepare STRun Half Marathoners for the exciting race on Sep 28. 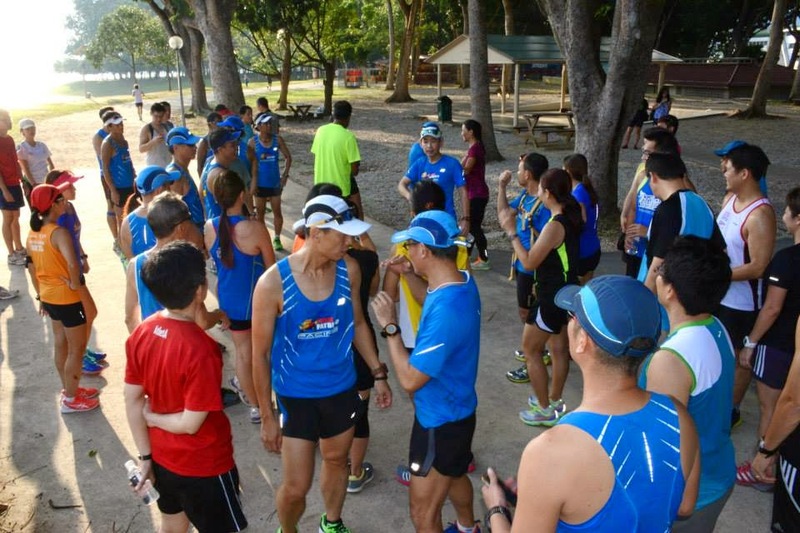 It was a treat for the participants at Bedok Reservoir Park where we were joined by Singapore’s top woman marathoner, Anne Qi Hui and National Middle & Distance Running coach Ghana Segaran. 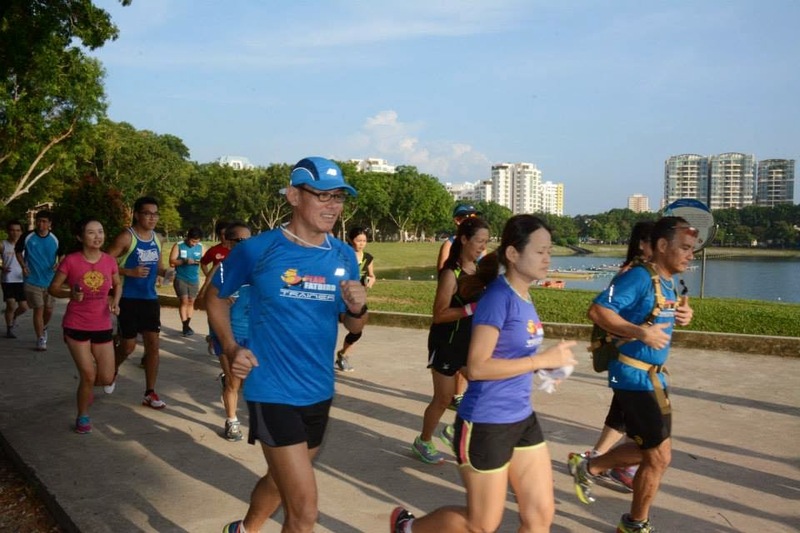 As Official Half Marathon Pacers of the ST Run @ Hub, Team FatBird’s marathon pacers were on site to lead the runners though a challenging route around the scenic Bedok Reservoir Park. 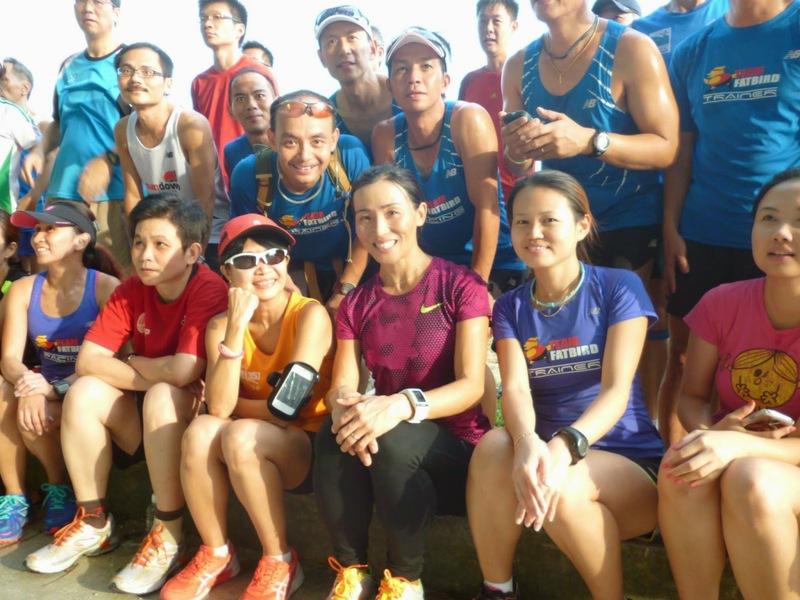 As the sun was setiing, and the weather got cooler, Coach Ghana gave a welcome to all participants and introduced the Guest Trainer Anne, as well as Team FatBird Pacers. Anne followed on with a good round of dynamic warm up and activation exercises with lots of tips and advise on how to prepare the body for flight (run in FatBird’s speak :D). Anne showed a great repertoire of exercises and even rose to the challenge of some highly enthusiastic participants. With a group photo followed by some cameo shots from the ST photographers, the respective Pace Groupings of 1:50h, 2:00h, 2:15h and 2:30h got off to a rousing start with highly charged participants in tow. As the participants settled into their paces, tips and advise were shared and exchanged by Coach Ghana and Anne. The ST Pacers did our part by sharing some of our own training expertise and experiences, while reinforcing what were shared by Ghana and Anne. 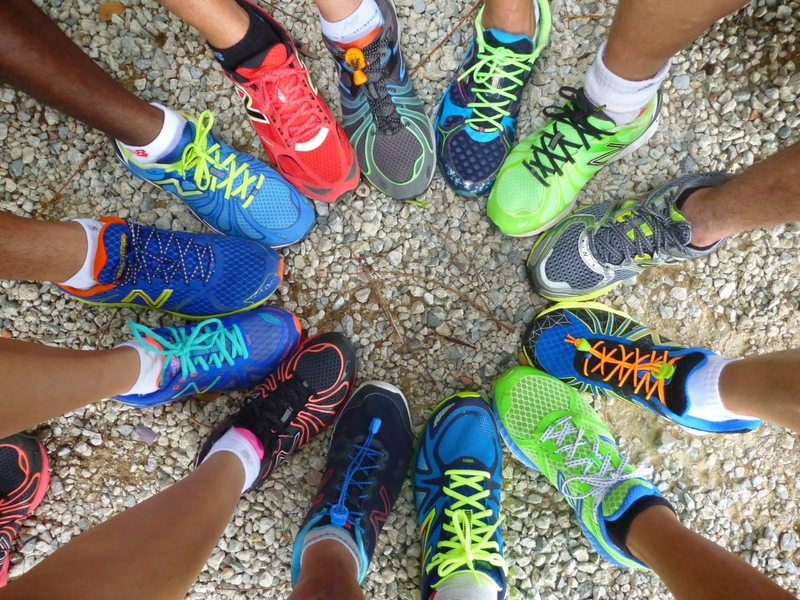 The ST lead up runners took away lots of valuable tips and did very well to run sustainable and manageable paces for the whole of 6-8km. 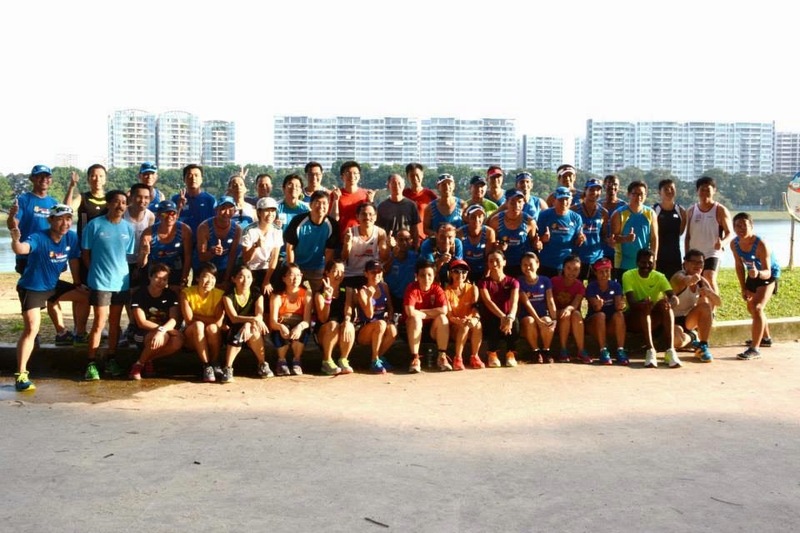 Over 100Plus and bananas, the participants, Pacers and Coach Ghana continued to share running stories and information while watching dusk set in. 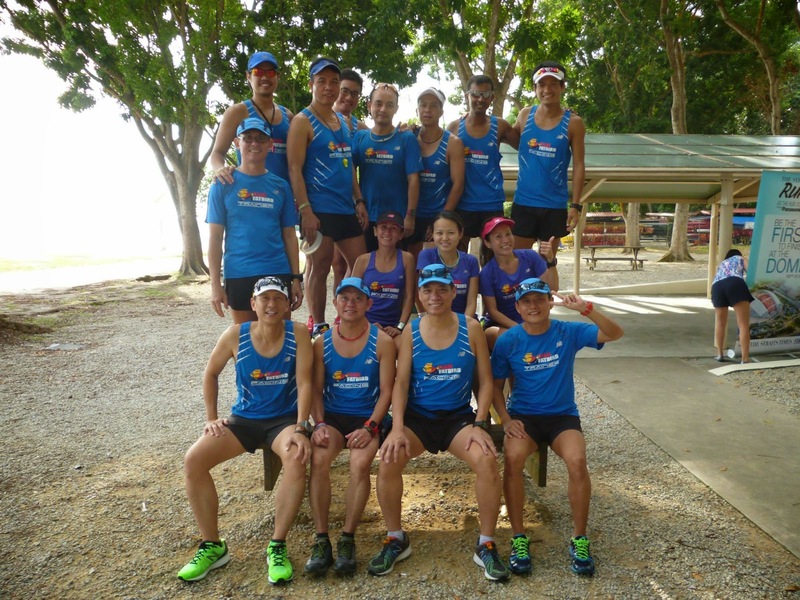 The FatBird Pacers were motivated by the enthusiasm of the coaches as well as the runners who were so willing to share and exchange tips and experiences. 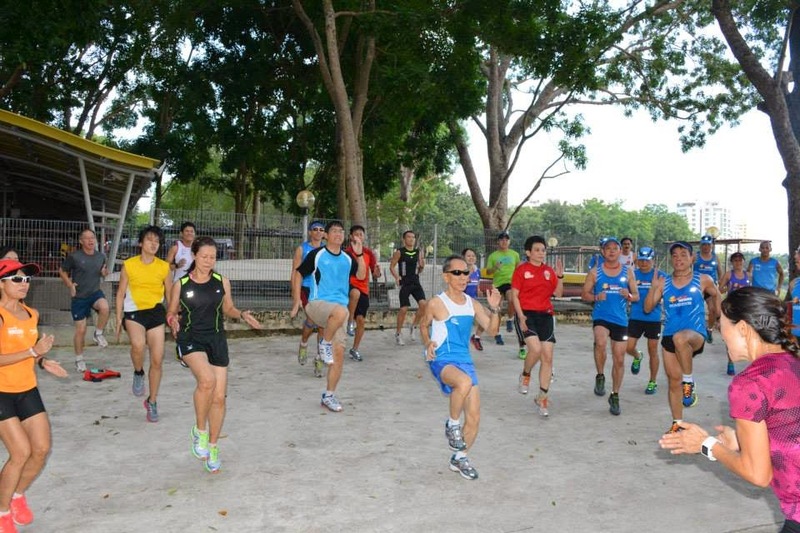 This will set the tone for proper training to be adopted by ST Runners when Coach Ghana’s 8-week training program is made available online to prepare more runners for the next lead up runs on Aug 23 (Ponggol Waterway) and Sep 13 (Sports Hub). 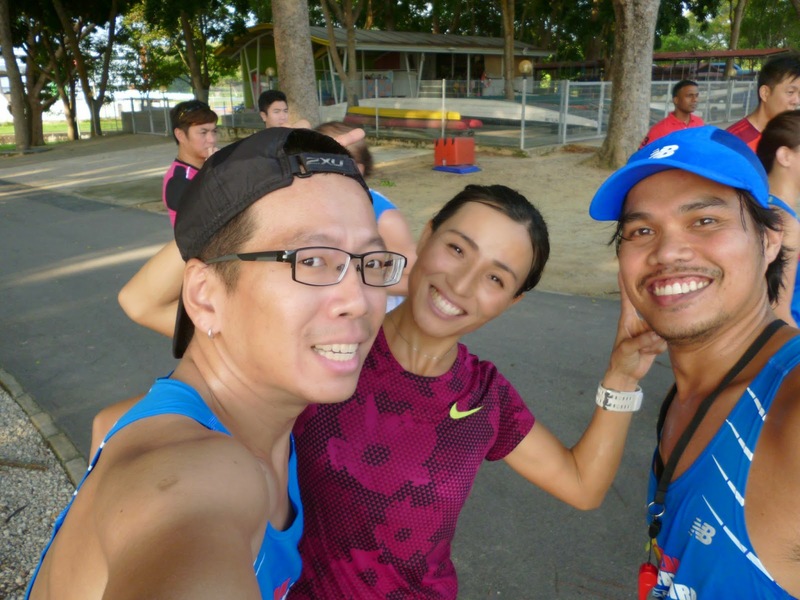 Please be sure to join Team FatBird Pacers and Coach Ghana in the remaining 2 FOC training runs, and yes, please sign up for the limited slots if you have yet to do so. 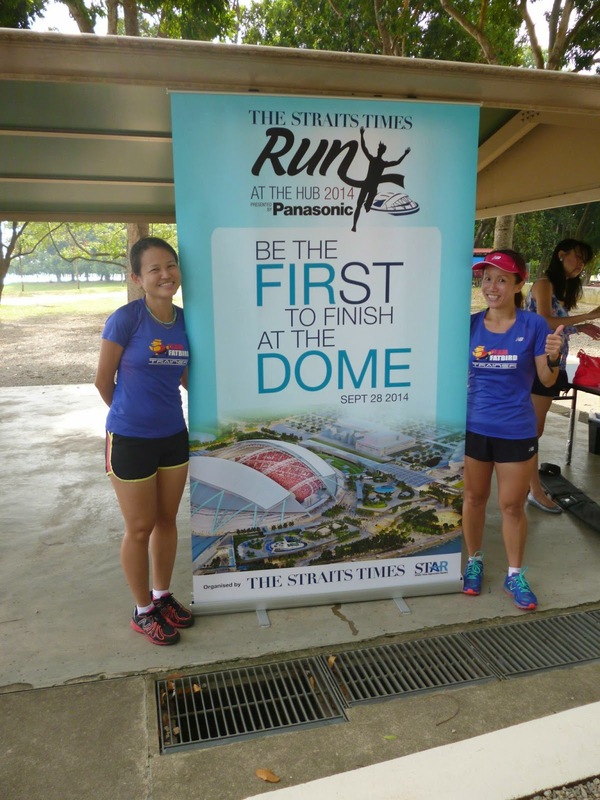 Running Straits Times @ Sports Hub? 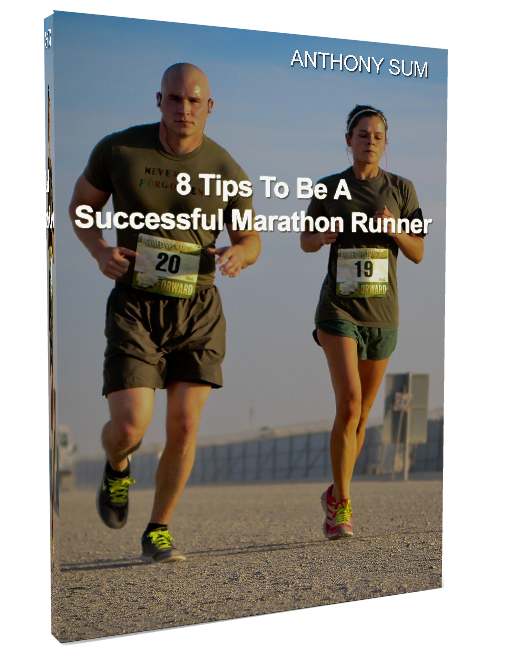 Follow Our Pace & Win Your Race!